Five stories that have North Texas talking: revisit JFK’s visit to North Texas in 1960; Texas’ voter ID trial is underway; Jerry Jones gets a big profile in ESPN’s magazine; and more. 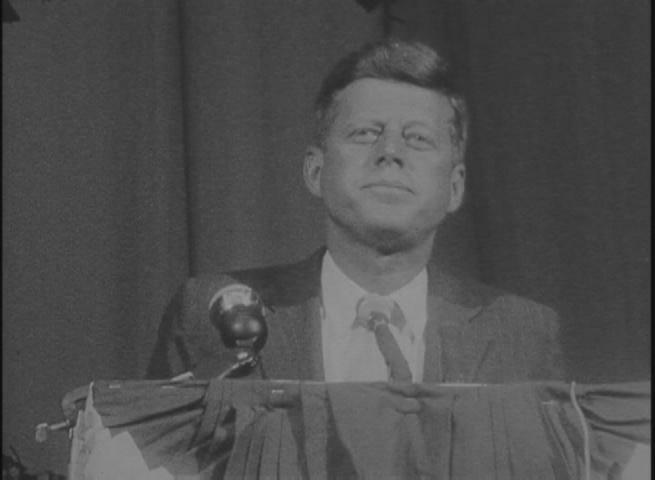 The Texas Archive of the Moving Image has posted rare footage of John F. Kennedy and Lyndon Johnson during a North Texas campaign stop in 1960. Just in time for football season, ESPN profiles Dallas Cowboys owner Jerry Jones. “Standing 6 feet, ½-inch tall, Jones is, like his stadium, modernized by creative vision and formidable resources -- his face lifted, his scalp fortified and his teeth capped to gleam,” Don Van Natta Jr. writes in ESPN The Magazine. “No team owner in American sports is more famous and infamous, more revered and reviled, than Jones. … Although Jones has made nearly all the right moves as the Cowboys' owner, he has made just as many wrong moves as its general manager, the job he gave himself when he bought the team.” One choice quote: "He's the luckiest guy I've ever seen -- in business and in life," Larry Lacewell told ESPN – he’s one of Jones' closest friends and the Cowboys' former head of scouting. "His football team has been the unluckiest thing I've ever seen. How can you be that unlucky that long?" Five stories that have North Texas talking: Texas' voter ID law trial starts today; grief counselors will be on hand in Dallas ISD after students are killed in a car crash; the State Fair of Texas names this year's top new fair foods; and more. Five stories that have North Texas talking: rent eats up more income in Dallas, President Obama taps Sarah Saldaña to head U.S. Immigration and Customs Enforcement, more Texans are choosing urgent care centers over hospitals, and more. Five stories that have North Texas talking: Bullet trains may connect other parts of Texas besides that Dallas-to-Houston line, another confirmed case of human Chikungunya in North Texas, confessions from Texas Monthly’s BBQ editor, and more. Five stories that have North Texas talking: Orbitz and American Airlines end their business relationship, the Perot Museum of Nature and Science scores a mammoth donation, the purchasing power of $100 in Texas, and more. Five stories that have North Texas talking: Whole Foods sells rabbit meat, but not in Texas; T-shirts feature Gov. Perry’s mugshot; a look back at the first day of school; and more.